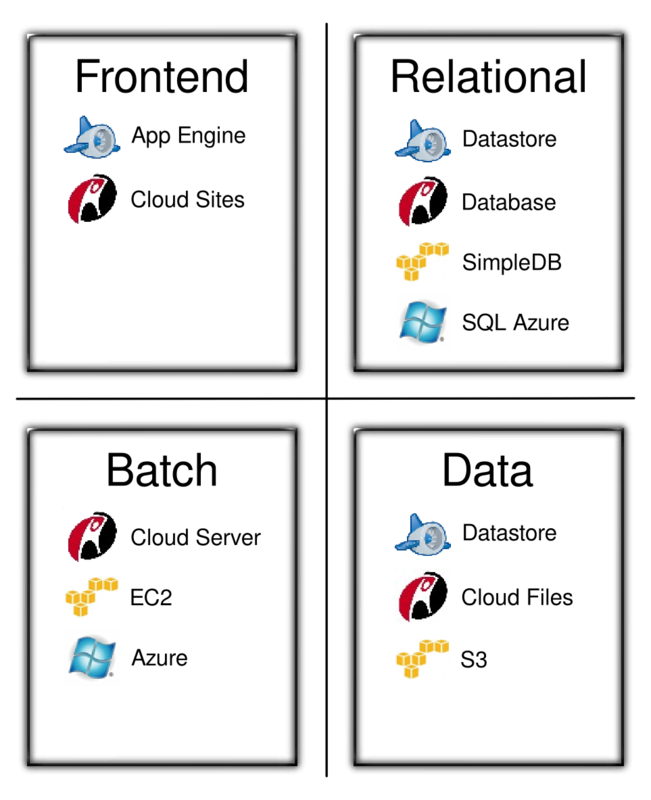 This is the second in a series of articles on building elastic cloud applications. Read the first article here. Taking these principles into account, it becomes obvious why some early design decisions may affect your business’ ability to cope with the challenges during the early stage and later growth. Cash is king and any required upfront investment directly affects the risk versus reward perspective. In Lean Startups where the product concept changes to reach a product/market fit, an upfront infrastructure investment may become obsolete quickly. Utilizing well-known and widely deployed application stacks helps to quickly adapt to changing application requirements. There is nothing worse than starting with an exotic platform that fits well with the first requirements but calls for platform customizations to cope with changing requirements. Building on open standards not only provides cost-effective platform choices, but also introduces the flexibility to grow and incrementally adapt the application. After all, you are building an application and not a new application platform. The desired product/market fit may not only bring joy and happiness. Quite the contrary, a sudden load spike may expose unknown bottlenecks in the application architecture. The result is all but happy customers and a lot of stressful hours for your team. The root of the problems are often small and not easy to grasp upfront. For example, increasing load with a growing average response time may put exponential burden on some application performance metrics. Understanding the pains involved in scaling an application makes the case for using an elastic platform where the provider takes care of all issues involved with scaling. Cost and the ability to execute on this premise are key factors to consider when selecting a provider. The Cloud Architecture Overview illustration shows examples of several well-known cloud infrastructure providers. Due to their inherent scale, they are able to offer cost-effective solutions and their experience in running massive data centers underlines their ability to deal with nearly any load scenario. The next article explores building elastic front-ends.